Markus Babbel applauded Cristiano Ronaldo for leaving Real Madrid in favour of Juventus as he criticised the motivation of Bayern Munich's players. 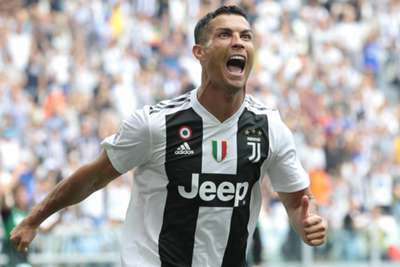 Five-time Ballon d'Or winner Ronaldo sensationally swapped European champions Madrid for Juventus in a deal reportedly worth €112million in July. Ronaldo – Madrid's all-time leading scorer – quit the LaLiga giants despite winning three successive Champions League titles and four in five seasons, a move lauded by former Bayern defender Babbel. As Babbel questioned the desire and attitude of Bayern's misfiring squad amid their form slump and four-match winless streak, the three-time Bundesliga winner singled out Ronaldo as an example. Babbel told Omnisport: "Compliments to Ronaldo. At 33 years of age, he said 'I can't be better at Real Madrid, I need a new challenge… I want to do something different to hold my performances'. "He did a fantastic move to Italy. It's a very difficult league, especially for strikers. "He is not my favourite player but this is top class what he did." Ronaldo has scored four Serie A goals for Italian champions Juventus since arriving in Turin in the off-season.